Jerantut is for most tourists the gateway to Taman Negara. People get off the bus or out off the train to visit the National Park of Malaysia. From this point it's still 18 kilometers to the ferry terminal in Kuala Tembeling. That's the place where the departure is for the boats to Taman Negara. Twice a day the train leaves up North to Tumpat, a town near Kota Bharu, at 02.15 and 03.37. The train goes at 01.09 and 23.59 to Gemas in the South. In the weekend there's an extra train. Don't trust the train schedule, because the trains are always late. Go the site of the train company KTMB for the right departure times: www.ktmb.com.my (KTMB stands for Keretapi Tanah Melayu Berhad). The train has two classes: Berth or Seater. When you buy a ticket for a "sleeper", you get a small bed - a "berth"- instead of a seat. It's a really nice way to travel, especially late at night. The fare from Jerantut to Tumpat is from RM20,- to RM 28,- (2004). It's very special to wake up and the train is in the deep jungle. Everything is so green. Taking pictures at the railway station in Jerantut was forbidden by the police officer, but.... you know... Ok, we took those pictures secretly. 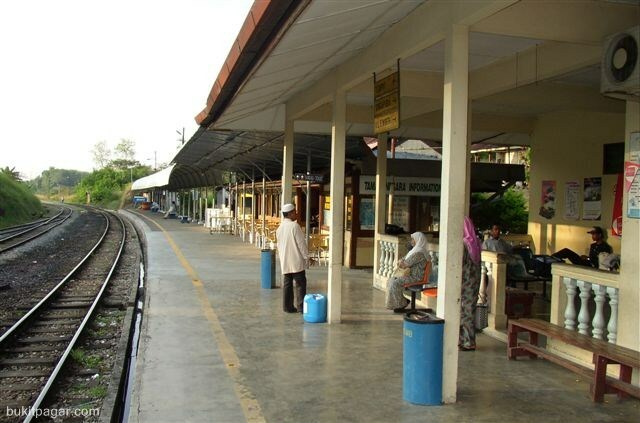 At the railway station is also a Tourist Information for those who like to travel to Taman Negara. 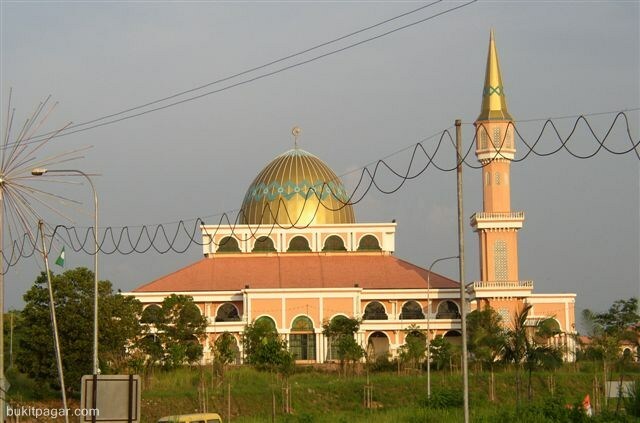 Jerantut is a small, busy town with only one major street. It's is located on a rather long stretch of intercity trunk road. It has a bus station and a railway station. From Jerantut's bus station it's a five-minute walk south to Jalan Besar and the centre of town. Jerantut is a small uninteresting industrial town, but it's function is to be a service centre for the national park. The best thing about this town is without a shadow of a doubt the fact that there is absolutely nothing to do there. It is not a tourist-based economy so there are actually real shops, places where people go to buy things they need. There are plenty of places to stay in Jerantut. You can choose a dorm in a guesthouse (Hotel Sri Emas - RM8,-) to a very nice three star hotel (Jerantut Hill Resort - RM68). Between the train and bus stations there are plenty of stalls and mini-restaurants serving Thai, Malaysian and Chinese food, usually open until 3 am. Without venturing into the National Park, you can stay in for example in the Jerantut Hill Resort (see the picture below) and go caving, fresh water fishing, waterfall hunting , white water, bamboo rafting or even some social golf!